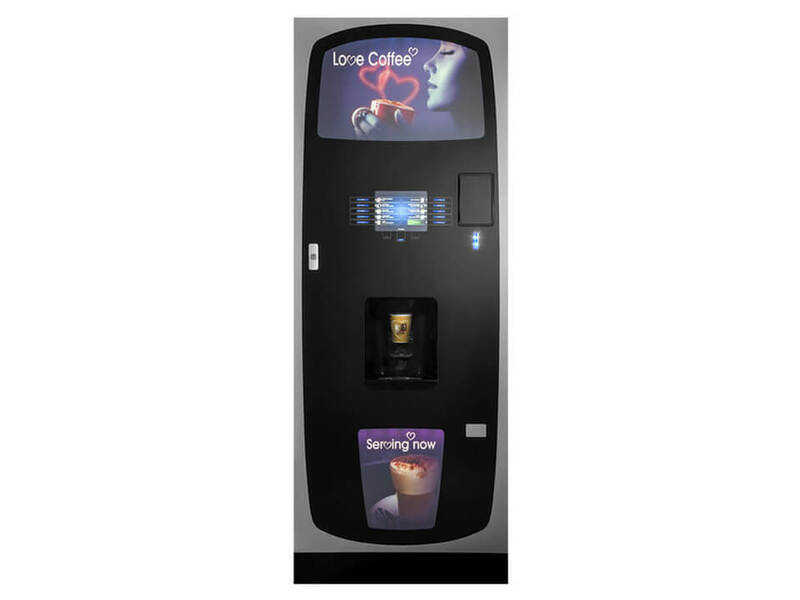 This machine is a kind of coffee machine to vend instant coffee with the multimedia on it, and the customer can watch some videos via it. Maybe it is this peculiarity that can attract customers. 1. 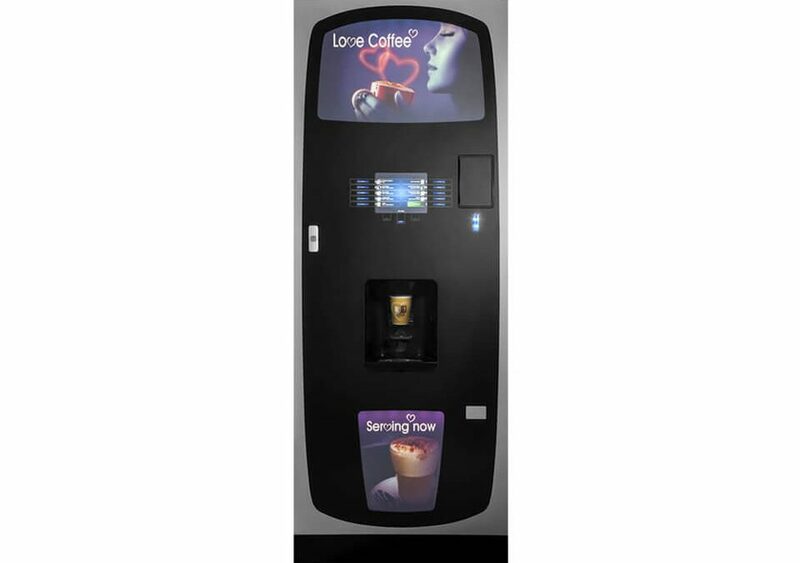 The multimedia instant coffee machine has an LED display screen to see videos. 2. Water temperature of the instant coffee machine is adjustable from 60 to 98 degrees. 3. Mixing function: 3 kinds of material mixed by the separate mixer to make a drink. 4. Prompt function: the multimedia instant coffee machine has alert when there is no water or no cup (working status indicating light, drink fetching indicating light). 5. Memory function: it can remember the sale amount of each drink, and count total drink sale amount. 6. Cup dispensing system: double cup pipe, paper cup dispenser Equipped (160 cups of 6.5 OZ or 9 OZ). Many people always enjoy coffee. You can earn money by establishing a coffee business. Here are some tips to start. You can rent or buy your cart. Choose the right location (malls, airports, dry cleaners, department stores, bookstores, hospitals, office buildings, hotel lobby, supermarkets Laundromats, etc.) and the right price of each cup (not too high, not too low). 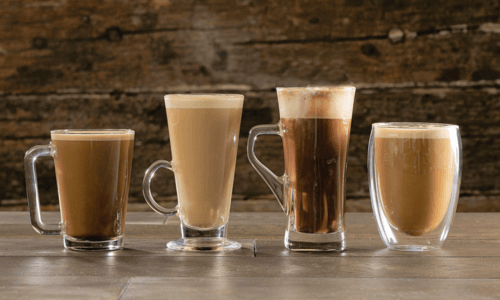 Decide if you want to purchase a franchise or be an independent coffee shop. At the same time, you should develop a business plan, and obtain a business license. 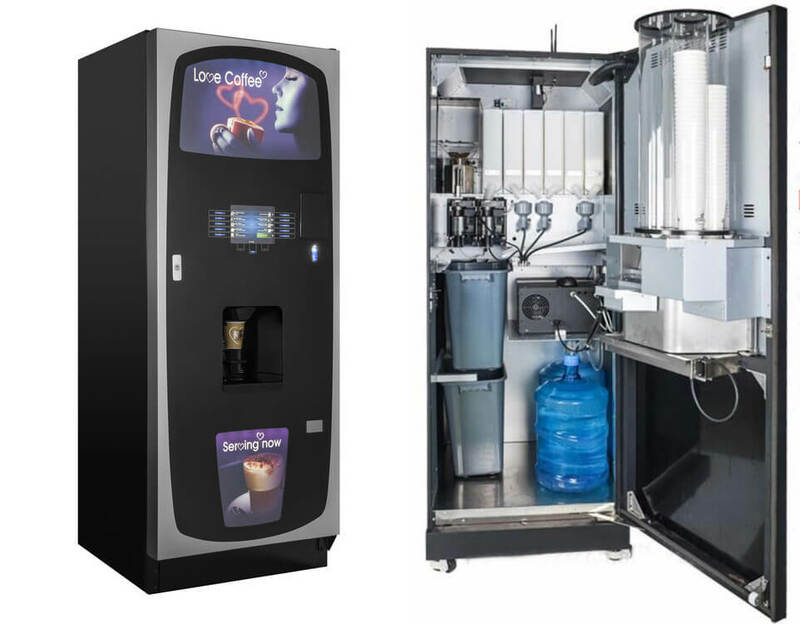 Purchase a coffee vending machine for your business. This is an excellent way to make money because clients can enjoy their coffee from your vending machine anytime & anywhere.